The Rolston String Quartet: Jonathan Lo, Cello; Hezekiah Leung, Viola; Jeffrey Dyrda, Violin; Luri Lee, Violin. 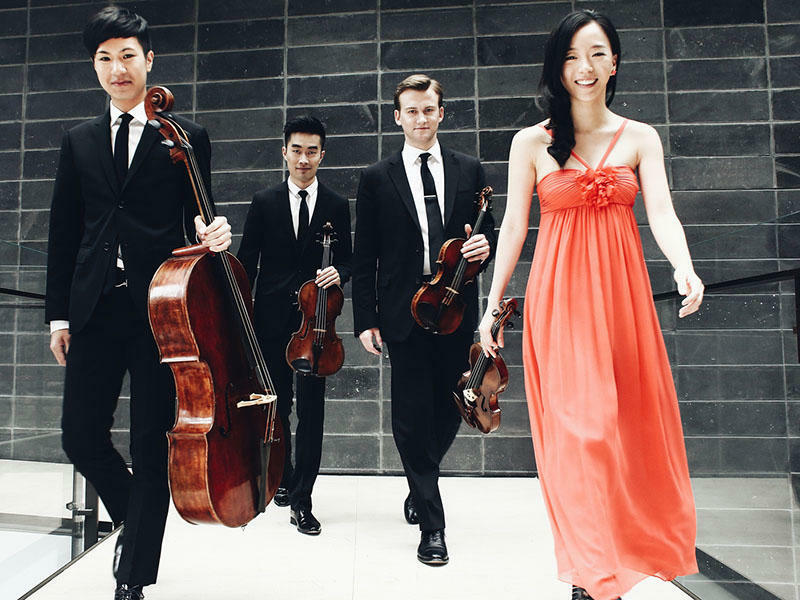 First Prize winner of the prestigious 2016 Banff International String Quartet Competition, the Rolston String Quartet has become Canada's newest ensemble attracting attention on the international stage. As Germany's Südwest Press stated of their recent performance, "an impressive, deeply serious interpretation...highly sensitive, delicately transparent. A musical sound treasure, blissful." Cellist Jonathan Lo talks with Bradley Fuller about the quartet's performances at the 2017 Spoleto Festival USA Chamber Music series.